UFC light heavyweight champion Jon Jones has started talking smack at potential rival Daniel Cormier and this time he took a shot at DC’s body. Bones, who is probably on a diet in preparation for his upcoming title defense against Glover Teixeira, took it to his twitter account. 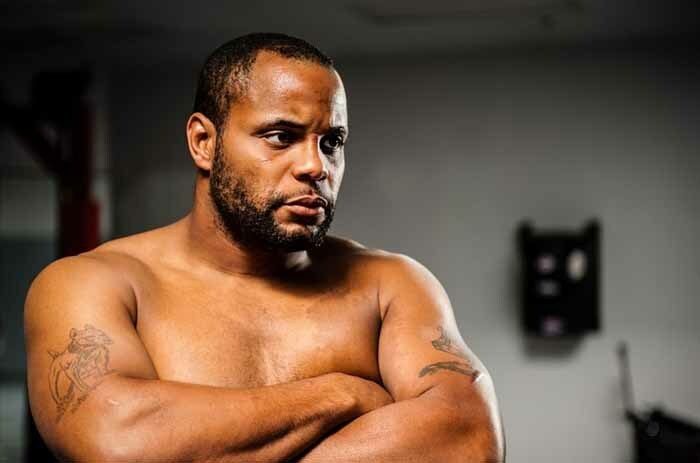 According to the weight conscious champ, he avoids over eating for the fear of looking like Cormier. “With that being said I love these people. their hospitality is first class nothing but hugs and smiles eating so much Ill look like DC soon. “ wrotes Jones on his Twitter. Obviously, Cormier does not like it. He immediately answered right after learning the tweet. DC has been clamoring for a fight with Jones way before his UFC career. He already said his goodbye to the heavyweight division in his lopsided win over Roy Nelson at UFC 166.After that he announced that he will be officially dropping to 205 to challenge Bones for the title. That being said, it will be a long road for him before he lands a superfight with Jones. Alexander Gustafsson has already been promised a rematch with Bones should he win against Little Nog early next year in London. Of course, that depends on the outcome of Jones’ title defense against Glover Teixeira. If both of them wins, Cormier will likely have to win 2 or matches before finally earning his much awaited fight against Jon Jones. Javier Mendez, the chief trainer of Daniel Cormier has revealed that they are looking for a fight against Alexander Gustafsson for DC’s light heavyweight debut. Mendez believes that a win over Gus will legitimize Cormier’s shot at Jon Jones’ title. He also added that if DC were to beat Gustafsson, then they will clearly have an idea of the kind of fight he will put up against Bones. 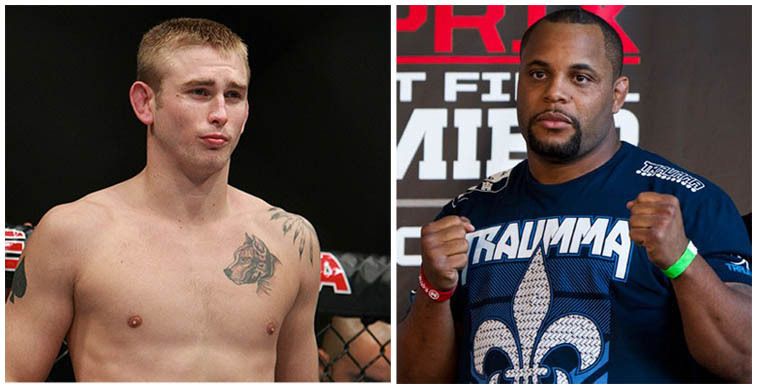 Gustafsson, of course, is coming off from a Fight of the Night performance against Jon Jones. Gus may have fallen short on that night but he gave the champion the toughest challenge of his career. Mendez also gave his take on the potential matchup of his fighter against the reigning light heavyweight champion. The AKA leader admits that he is not 100 percent sure on Cormier’s chances against Jones but believes that DC can take him down at will. 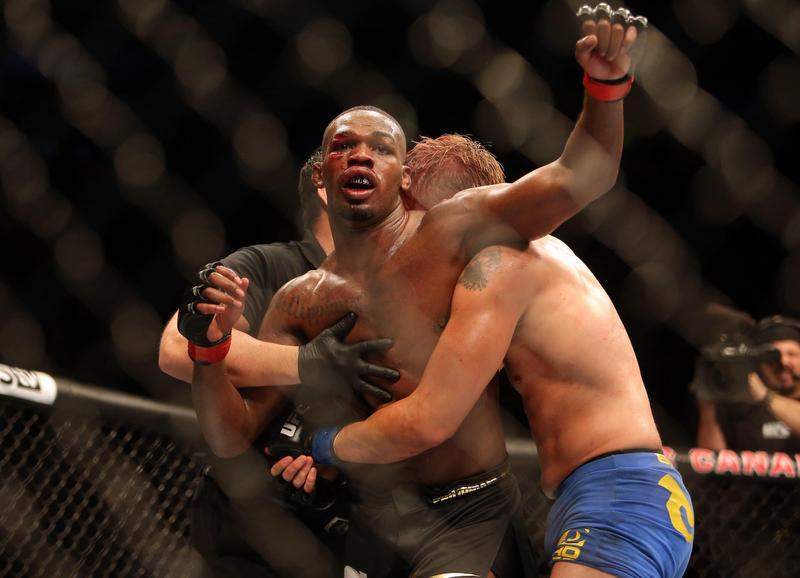 Jones has been only taken down once in his UFC career, and that happened in his recent fight against Gus. Diego Sanchez may not be that impressive in his recent outings, he is 1-2 in his last three fights and one can argue that he lost all those fights. Nevertheless, his string of unimpressive performances did not prevented “The Dream” from assuming that a title shot is next once he gets past Gilbert Melendez in UFC 166. With the recent happenings in the UFC, it is not that impossible for Sanchez to believe that he can earn a shot at gold after two consecutive wins. He has done it before when he challenged then-champion BJ Penn in 2009. Even Chael Sonnen did it when he went straight for Jon Jones belt after losing his middleweight title shot against Anderson Silva. A stoppage win over El Nino will clearly raise Sanchez’ stocks but The Dream seems to forget that he is currently not ranked at 155. He would certainly enter the ranks but leapfrogging to a title shot is unlikely even if he stops Melendez in their showdown this weekend. It looks like fight fans will have to wait longer for the light heavyweight title fight between Jon Jones and Glover Teixeira. It was officially announced last week that the fight will take place in UFC 169 but Dana White scrapped the idea and told the media that the schedule of the fight has not been finalized yet. “Jones vs. Teixeira on February 1 is never, ever a done deal” says Dana White in an interview last Monday. He made it clear that the fight will certainly happen but not on the rumored date. “That’s going to be later. That was never a done deal. “Our people put it out, but they shouldn’t have” added the UFC president. He then hinted that Jones and Teixeira would likely square off in March, around the same time with Alexander Gustafsson’s return bout in Sweden or London. White also promised that Jones and Gustafsson would surely meet again if both fighters win their next fights. It was also announced last week that the heavyweight matchup between Alistair Overeem and Frank Mir was moved to the Super Bowl event (UFC 169) from its original schedule on November 16. The removal of the Jones – Teixeira fight leaves Mir vs. Overeem as the only match that was scheduled for UFC 169. 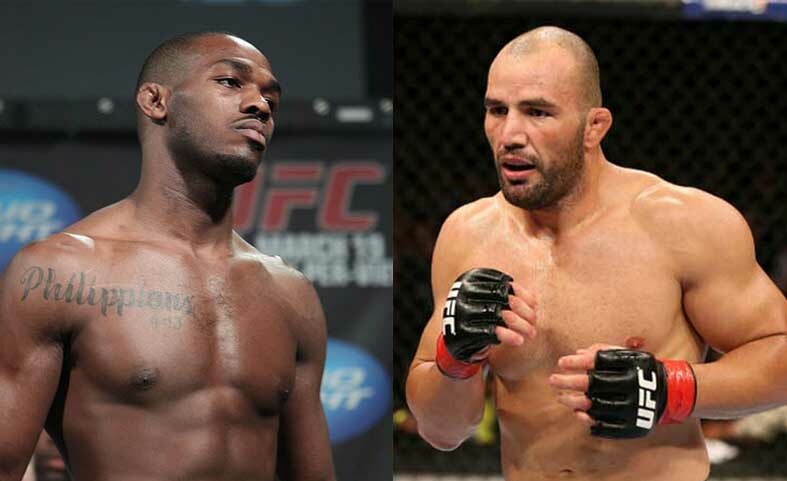 The light heavyweight title fight between Jon Jones and Glover Teixeira is now officially booked as the main event of UFC 169 that will be held at on the Super Bowl weekend. 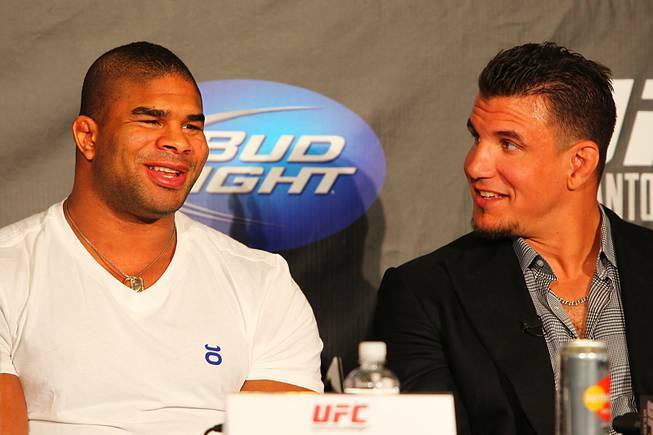 Frank Mir and Alistair Overeem will also square off as the supporting bout of the event. The news was announced this Thursday night on Newsday and was later confirmed by UFC officials. The UFC also noted that they moved the Overeem-Mir fight to give Mir ample time to recover after his knockout loss to Josh Barnett last August. The fight was originally scheduled in November 16 as a part of the 20th anniversary of UFC. 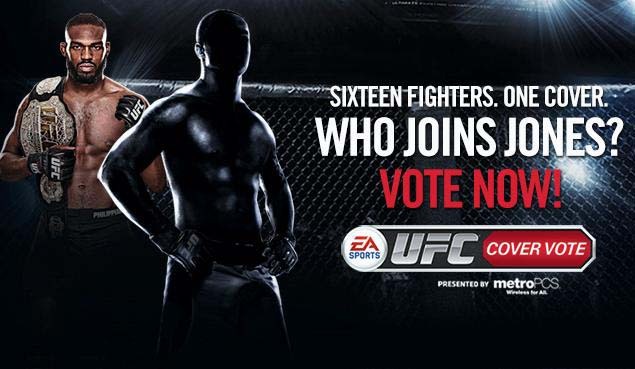 USA Today Sports, has revealed the names of the participants of The Ultimate Fighter, Season 17. The latest season features twenty-eight cast members. The show also features UFC 159 headliners, light heavyweight champ Jon Jones and Chael Sonnen as opposing coaches.